Наш канал посвящен телепроектам "Голос" и "Голос Дети"
Andrey. 'Attention'. 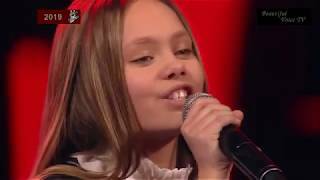 The Voice Kids Russia 2018. Veronika. 'Подари мне платок'. 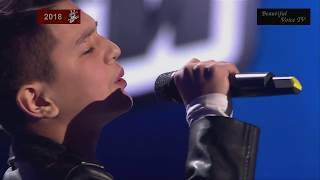 The Voice Kids Russia 2018. Aliya. 'Дорогой длинною'. 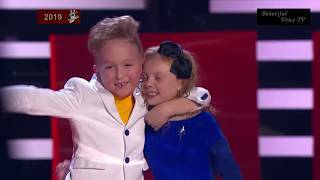 The Voice Kids Russia 2018.
lavalina. 'Oops!… I Did It Again'. 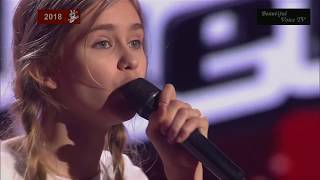 The Voice Kids Russia 2018. 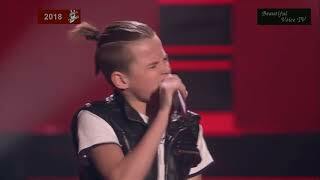 Kirill. 'Hello'. 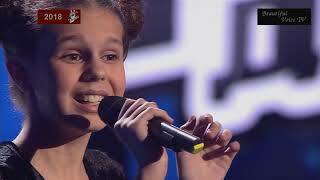 The Voice Kids Russia 2018. Nazgul. 'Adagio'. 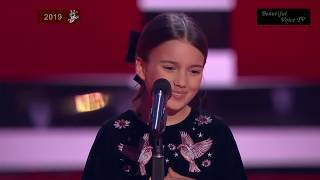 The Voice Kids Russia 2018. Vadim. 'Strangers in the Night'. 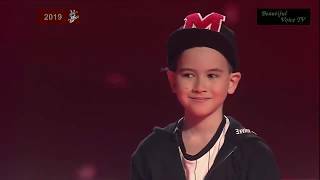 The Voice Kids Russia 2018. Elvira. 'Runnin`'. 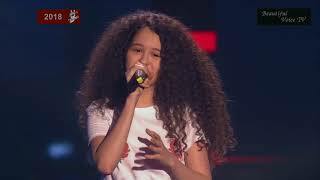 The Voice Kids Russia 2018. Taly. 'Who Wants to Live Forever'. 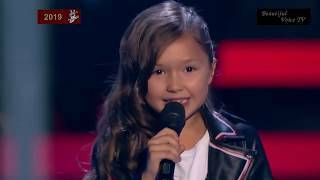 The Voice Kids Russia 2018. Emiliya. 'Челита'. 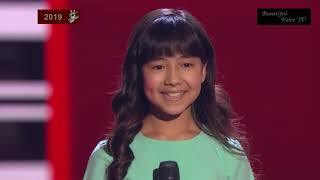 The Voice Kids Russia 2018. Vadim. 'Whole Lotta Love'. 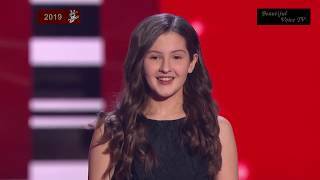 The Voice Kids Russia 2018. Veronika. 'Blow Your Mind'. 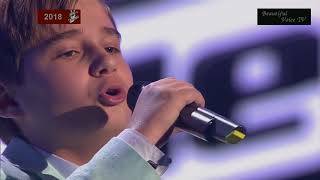 The Voice Kids Russia 2018. Erik. 'Radioactive'. 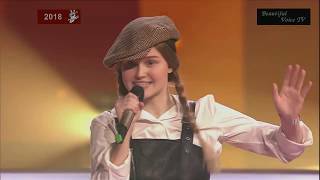 The Voice Kids Russia 2018. Daria. 'Олей'. 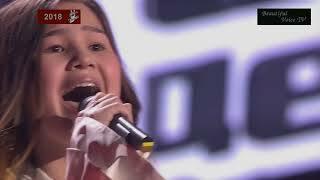 The Voice Kids Russia 2018. Sara. 'Драмы больше нет'. 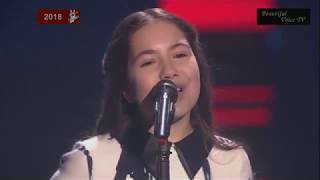 The Voice Kids Russia 2018. Eden. 'Love On The Brain'. 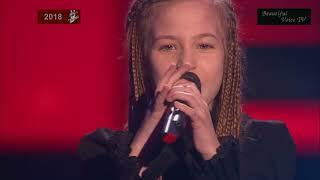 The Voice Kids Russia 2018. Angelina. 'Dangerous Woman'. 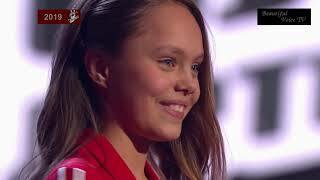 The Voice Kids Russia 2018. Daria. 'Спят усталые игрушки'. 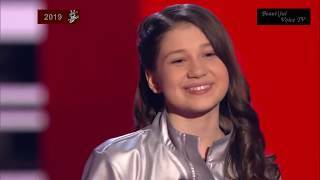 The Voice Kids Russia 2018. Akmal. 'It’s a Man’s Man’s Man’s World'. 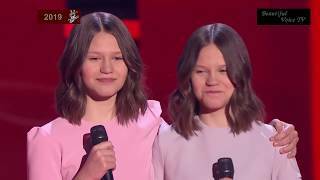 The Voice Kids Russia 2018. Daiya. 'Hit ‘em Up Style'. 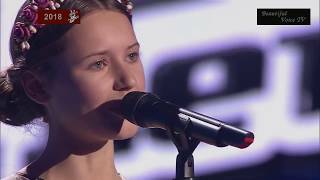 The Voice Kids Russia 2018. 'No Roots'. Aliya/Anastasiya/Maria. 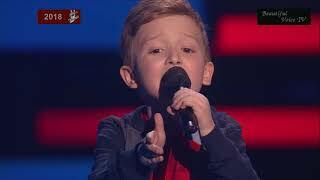 The Voice Kids Russia 2018. 'За окошком месяц май'. Rutger/Daria/Zahar. 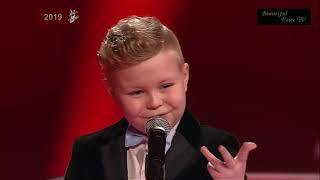 The Voice Kids Russia 2018. 'Volare'. Robert/Angelina/Anton. 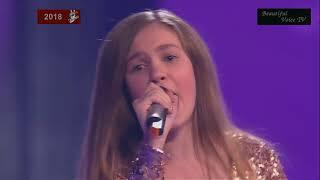 The Voice Kids Russia 2018. 'Yalla' (English, Arabic). Veronica/lavalina/Eden. 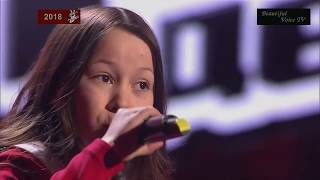 The Voice Kids Russia 2018. Veronica. 'Aïcha'. The Voice Kids Russia 2019. Edith Piaf - 'L'hymne à l'amour'. Nino. 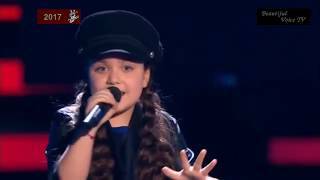 The Voice Kids Russia 2019. Maria. 'Плакала'. The Voice Kids Russia 2019. Renata. 'Canção do mar'. 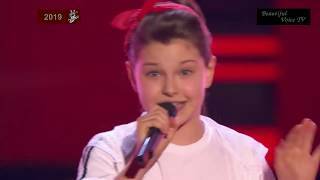 The Voice Kids Russia 2019. Anna. 'Let It Be'. 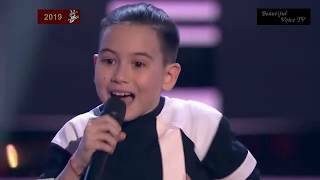 The Voice Kids Russia 2019. Arina&Sofia. 'Tell Him'. 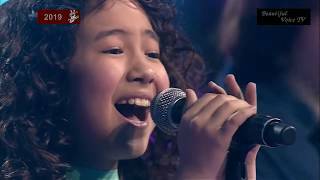 The Voice Kids Russia 2019. Erjan. 'Ama credi e vai'. 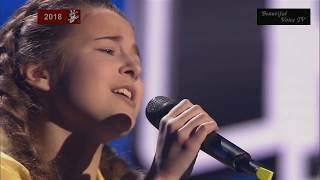 The Voice Kids Russia 2019. Maria. 'Don’t Stop Me Now'. 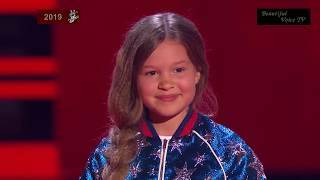 The Voice Kids Russia 2019. Ed Sheeran - 'Thinking Out Loud'. Andrey. 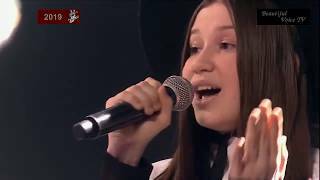 The Voice Kids Russia 2019. Alika. 'Я падаю в небо'. 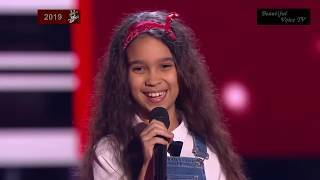 The Voice Kids Russia 2019. Sofia. 'It’s a Man’s Man’s Man’s World'. The Voice Kids Russia 2019. Mikella. 'Somewhere Over the Rainbow'. 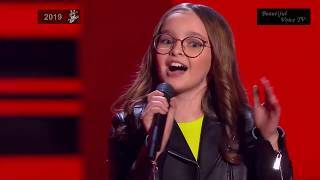 The Voice Kids Russia 2019. Mariam. 'Реченька'. 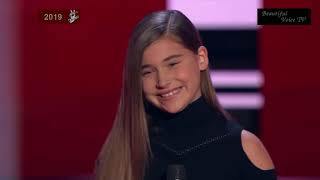 The Voice Kids Russia 2019. Jan. 'Sir Duke'. 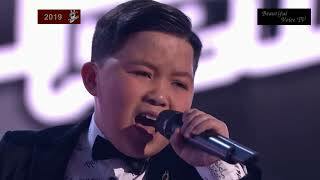 The Voice Kids Russia 2019. 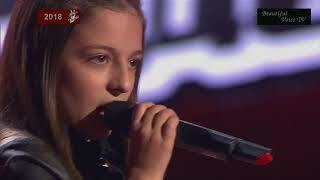 Mariam. 'Je t’aime'. 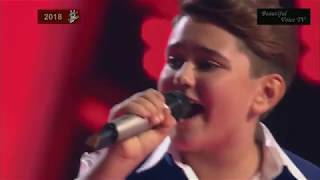 The Voice Kids Russia 2019. Mihail. 'Versace on the Floor'. 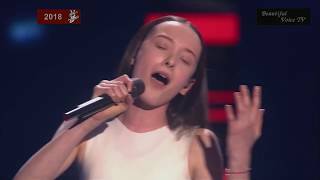 The Voice Kids Russia 2019. Yana. 'Voyage Voyage'. 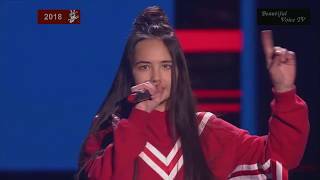 The Voice Kids Russia 2019. Sofia. 'Faith'. The Voice Kids Russia 2019. 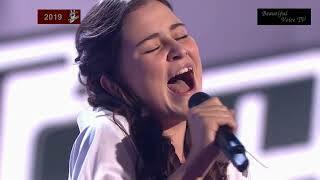 'Nessun dorma'. Valery/Evgeniya/Dmitry. 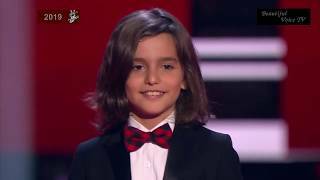 The Voice Kids Russia 2019. 'Stayin’ Alive'. Renata/Artem/Anna. 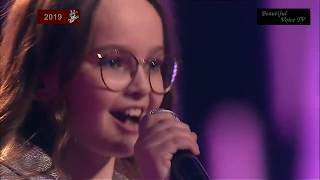 The Voice Kids Russia 2019. 'Между нами любовь'. Victoria/Maria/Jana. The Voice Kids Russia 2019. Imagine Dragons - 'Believer'. Mihail/Jan/Andrey. 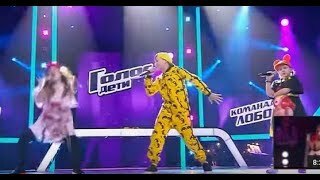 The Voice Kids Russia 2019. 'Take Me to Church'. Maria/Micella/Mariam. 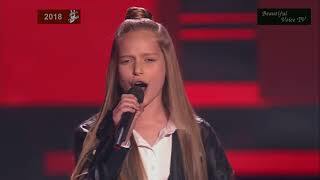 The Voice Kids Russia 2019. 'Кружит'. Arina/Egor/Ekaterina. 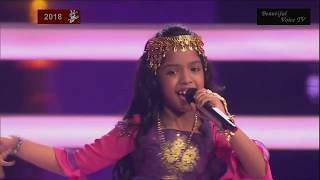 The Voice Kids Russia 2019. 'Bohemian Rhapsody' - Queen. Elene/Nino/Sofia. 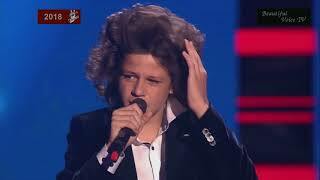 The Voice Kids Russia 2019.